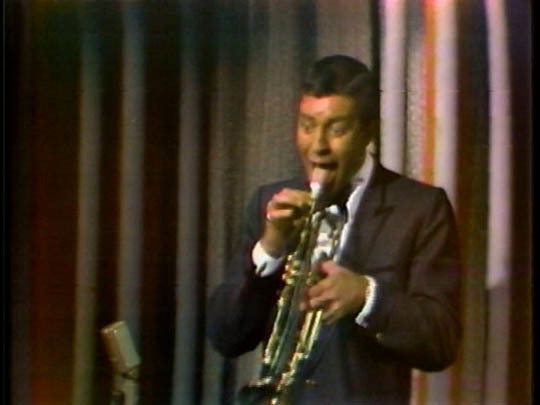 In the 1950s, after he broke up with long-time partner Dean Martin, Jerry Lewis made a string of very successful comedies built around his, shall we say, distinct comic persona. Jerry’s schtick was a mixture of elaborate, agile physical business combined with an aggressive use of facial and vocal tics, which at their mildest were kind of goofy and at their most extreme somewhat alarming. He came on like a demented, hyper-active child … indeed, his biggest appeal was to children, who could recognize that he was acting out wildly and getting away with it. But Jerry was very ambitious and, as big as his success was, he wanted more. 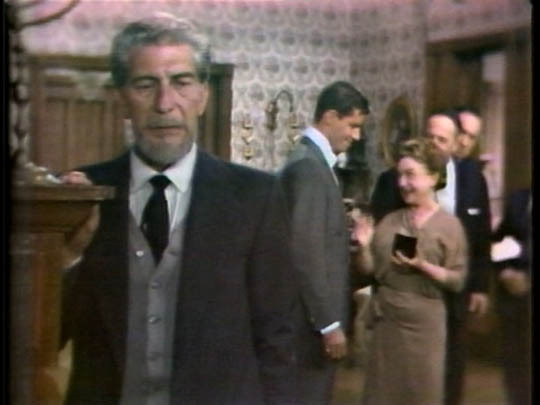 Beginning in 1960, with The Bellboy, he began writing and directing his own films, by force of will becoming one of the most distinctive of American auteurs. For a while in the ’60s, he was at the pinnacle of the business and even earned a fair amount of critical success (the adoration of French critics eventually attained mythic proportions). 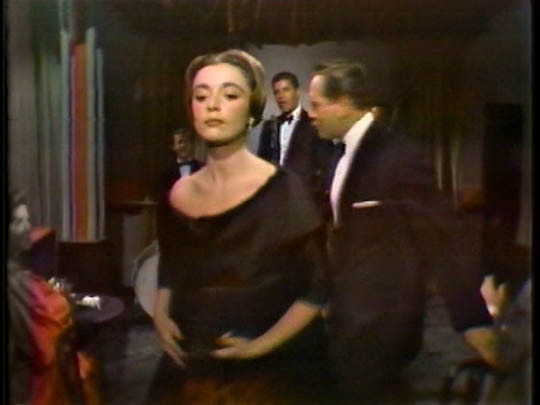 On a smaller scale, this desire to be taken seriously resulted in a real oddity, now released on DVD by Inception Media Group: a television adaptation of The Jazz Singer, made for NBC’s Lincoln-Mercury Startime in 1959, and never screened again until now. There are some possibly strong personal reasons for the choice of this old chestnut. Like the protagonist, Joey Robin (born Joseph Rabinowitz), Jerry had sublimated his Jewish origins (as Joseph Levitch) to make it big in showbiz. The Jazz Singer is about the conflict between tradition and making it in the secular world, and it moves inexorably towards reconciliation. 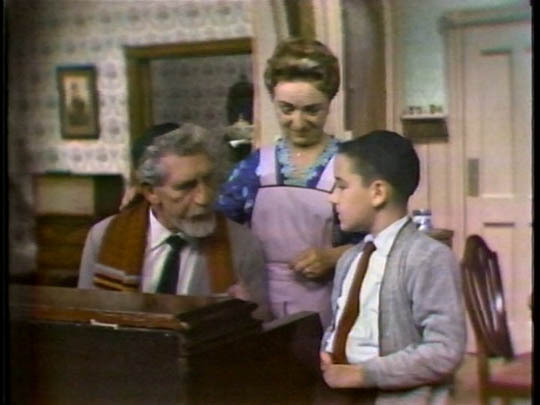 But by the time Jerry got around to doing the show in 1959, it was a corny cliche, and the Rabinowitz family – father Eduard Franz, mother Molly Picon, uncle Alan (Fred Flintstone) Reed – come across as a standard sitcom group, broadly played with thick accents and exaggerated mannerisms. Interestingly, Lewis plays Joey with very little charm. His nightclub act, which we see a fair bit of in the play’s opening scenes, is a mixture of mediocre “jazz singing” and typical Jerry schtick. He mugs, makes with the funny voices, tells painfully unfunny jokes, and then emotes sentimentally through a musical number. 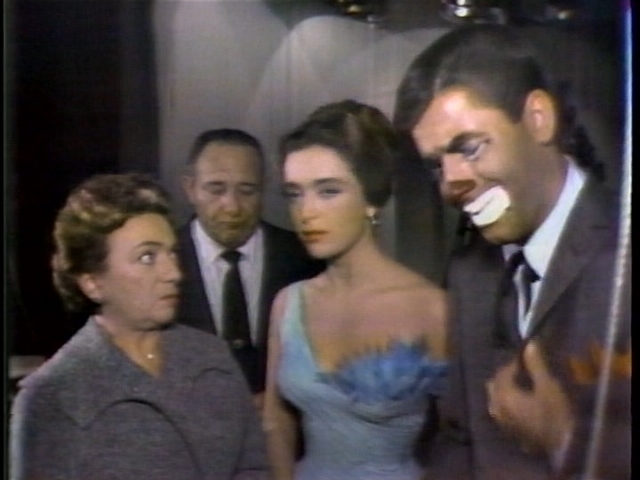 It’s very hard to buy famous TV star Ginny Gibbons (Anna Maria Alberghetti) going out of her way to book him on her show, particularly after he humiliates her in public. But she, and other characters, keep insisting that he’s a brilliant performer, so we have no choice but to go along with the pre-ordained storyline which leads to the big choice between family and tradition and the glamour and wealth of show business. Originally, Samson Raphaelson based his play The Jazz Singer on Al Jolson’s own life, and Jolson of course was a huge hit in the 1927 film version. Almost unwatchable now, it stands as an important historical artifact, but as a movie it’s sunk by Jolson’s relentless overacting and the now very problematic emphasis on blackface musical numbers. Lewis certainly tones down his own performance, perhaps very much aware of the dangers inherent in the material. 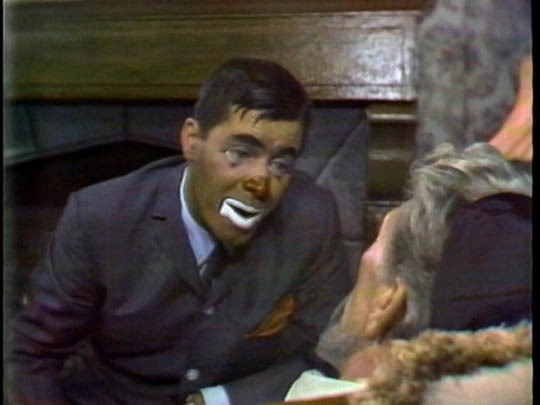 And he replaces blackface with clown makeup, which may be less uncomfortable for a modern viewer, but inadvertently adds a note of parody to the final scenes – the reconciliation with the dying Cantor Rabinowitz and the last shot of Joey chanting the Kol Nidre in the synagogue next door. 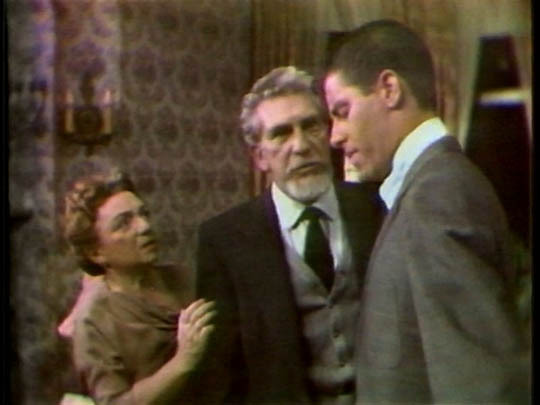 Although the show was recorded on tape and edited, stylistically this creaky, awkward production is a far cry from director Ralph Nelson’s work in live television on Rod Serling’s Requiem For A Heavyweight (1956) for Playhouse 90, or his production of the Old Vic’s Hamlet (1959) for the DuPont Show of the Month on CBS. 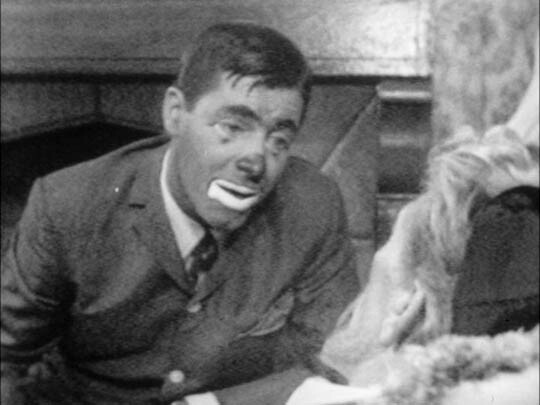 It’s little more than a curiosity now, a look at how Jerry Lewis was struggling with his own famous persona as he was taking greater control of his career. But the most interesting thing about Inception’s DVD is that the company had access to an original colour videotape of the show from Lewis’ own archives, which is presented here in addition to a black-and-white kinescope (the form in which we’re used to seeing ’50s television). It’s remarkable how much energy the colour adds in contrast to the dramatically much flatter kinescope version. There’s a brief but informative featurette on the disk in which David Crosthwait of DC Video explains how he had to rebuild the show from several different sources, a process further complicated by the fact that in those early days of colour recording, the technology was very different from what came later and he had to find ways of rebuilding the information on the tape into a usable signal which served as the basis of the restoration. This entry was posted in Review and tagged Actors, Directors, Jerry Lewis, Live TV, Ralph Nelson. Bookmark the permalink. 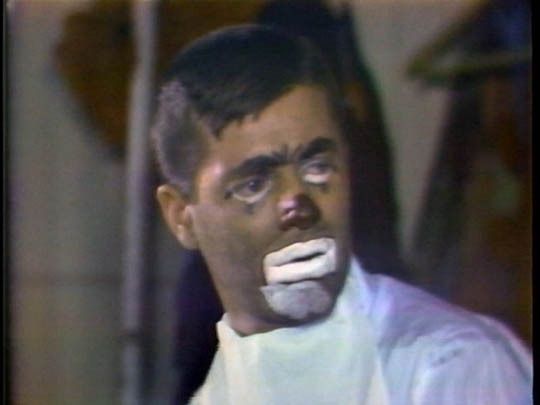 I was big Jerry Lewis fan as a kid. Your blog on him was very informative. I did not realize he had written and acted in some serious films. I will have to look them up. Didn’t Lewis play an interesting darkish version of himself in Scorsese’s great The Kind of Comedy ? Yes. Although I always thought King of Comedy was the best thing Lewis ever did (and the best Scorsese ever did, for that matter), he himself was always annoyed when people called it a great performance. He said it wasn’t acting, he was just being himself. As both a Jerry Lewis fan and a tv and film history buff, this tape to me is the holy grail of finds, when you consider that color video tape recording was only 18 months old, and that the technology itself was evolving. Plus, sadly, a lot of video recordings where either destroyed or thrown out to make space or to re-used(one only has to look at the tv career of Ernie Kovacs as a sad example) that where of this time period. As for his performance, I find it quite good. Yes, we see a artist at the peak of his powers(circa 1959), and being brave enough to try something, at least for him, different. Does it always work? No, but, mostly, it does. We should thank Jerry, and his son Scott, for not only saving this tape(which by the way is NOT a first generation copy), but having it restored and put on DVD for the world to see(nice job DC Video!). 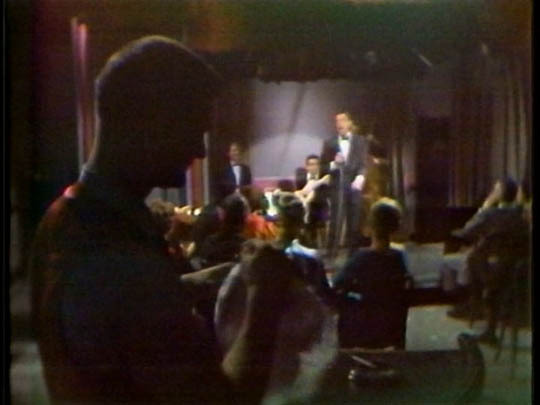 Incidently, if anyone looked at the segment involving the restoration of THE JAZZ SINGER, you might have noticed another video tape playing in the background. After much reearch, I found out that was one of his TIMEX specials from 1960. Let’s hope that will also be released on DVD. It would be worth checking out(there is a segment of that special on UTube showing the restored tape and the b/w kinescope in comparison to each other). Hi, Charles Kopp here again. Since we last met, I have attempted to find out if and when the Lewis family will release the Timex specials, sadly to no avail. If ANYBODY has an inside track on this, I would appreciate, and I’m sure other Lewis fans would as well, any info on this.